If you highlight your hair, you probably hate the price tag that comes with a trip to the salon. 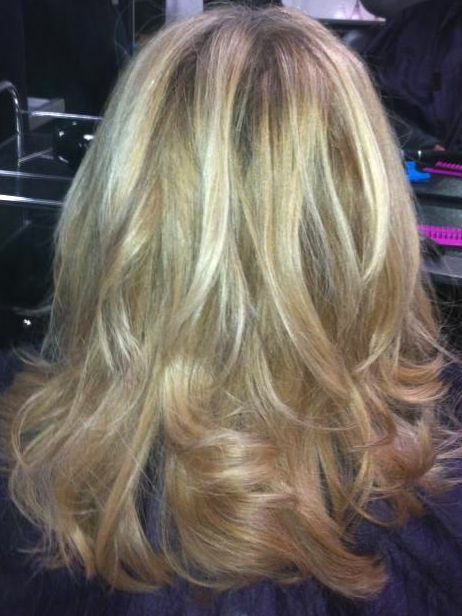 Highlights are a long and fiddly process and if done wrong can leave your hair looking awful! 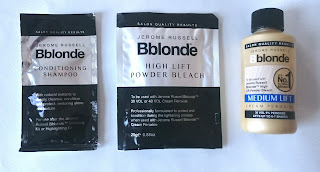 If you didn't know I'm a level 2 trained hairdresser and my mum has been asking me for ages to do her hair, so when I received Jerome Russell Bblonde Highlighting Kits I really didn't have an excuse not too! These Highlighting Kits come complete with everything you need. Unfortunately if you've got deep, dark brown hair or black hair these just aren't going to work for you. You'll probably end up either frying your hair or ending up ginger/chemical blonde, either way not a great thing. It's always super important before using any sort of hair product to test it 48 hours before. I know it's super boring and most people don't but your putting your life at risk for the sake of dotting a bit of the colour/bleach on your inner elbow. If you have any sort of reaction, redness, stinging, itching, swelling, do not use the product. In each box you get your instructions leaflet, a highlighting cap, a small brush, a pot to mix the bleach in, a shampoo, the powder bleach, the liquid peroxide and plastic gloves. I cannot stress enough that you should always wear gloves when working with bleach. Bleach burn is seriously sucky, it hurts and looks revolting. 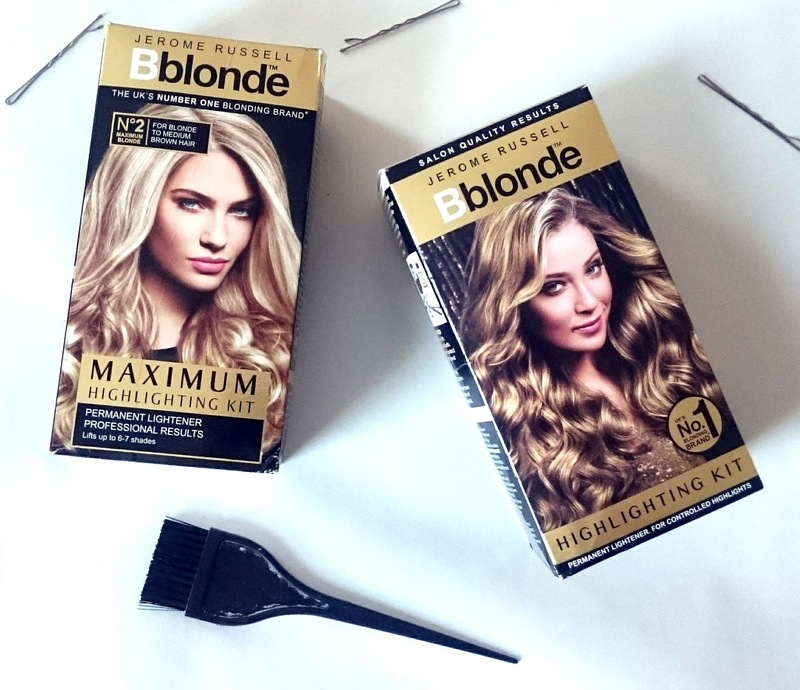 You start the process by putting on the highlighting cap and gently pulling through sections of hair using the end of the brush. Personally I don't like using highlighting caps, as I feel I get more control and I can see where I'm putting my highlights better when I use foil but it's a perfect tool to use for a first time or simply for ease! You then mix up the peroxide and the bleach powder in the black tray, being careful not to breathe in the dust. Try to work with bleach in a well ventilated area. 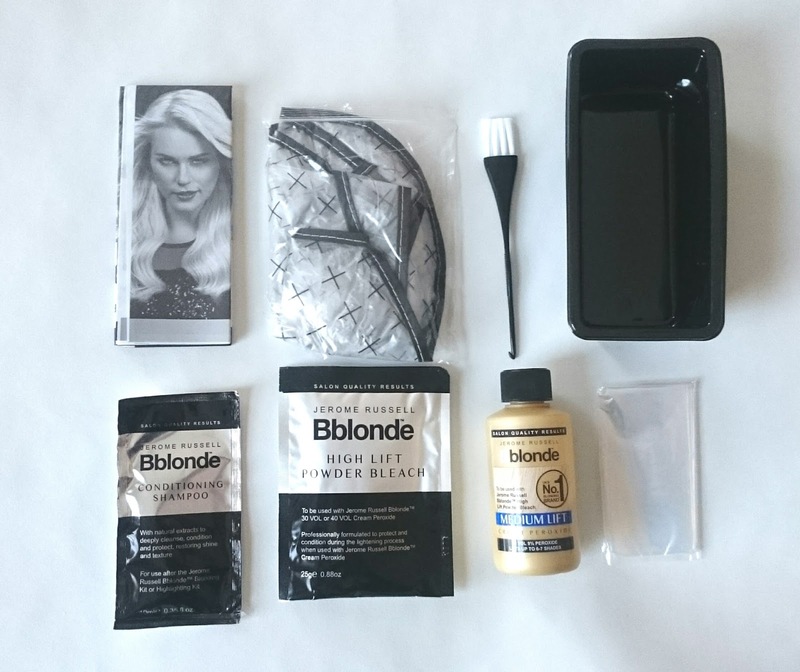 The Bblonde powder and peroxide should mix into a lovely creamy consistency. You then simply paint the bleach on to the hair that is sticking out the highlighting cap! I used the kits I received in foils as I said previously I'm not a huge fan of caps. Foils are a bit tricker as you need to get the bleach close to the root but not so close that it bleeds out on to the rest of the hair and you need to get your foils to fold neatly so you can see where you've placed them. I used both highlighting kits I received on my mums hair, so I had two variations of bleach strength which created different blonde tones. I also used a light brown and chucked in some low lights while I was there. Overall I'm really impressed with the Bblonde kits. They offer a lovely little package that includes everything you need to do highlighting at home. I would say if you have long hair you may want to purchase two kits but you get a wonderful creamy product that highlights really well and leaves lovely results! *Contains gifted items, please see my disclaimer & PR page for more information. Now if only I could borrow you each time I needed my hair done hint hint. I got my highlights done recent line, foil might I add, but the hairdressers barely got it near my roots so that was £60 down the drain.